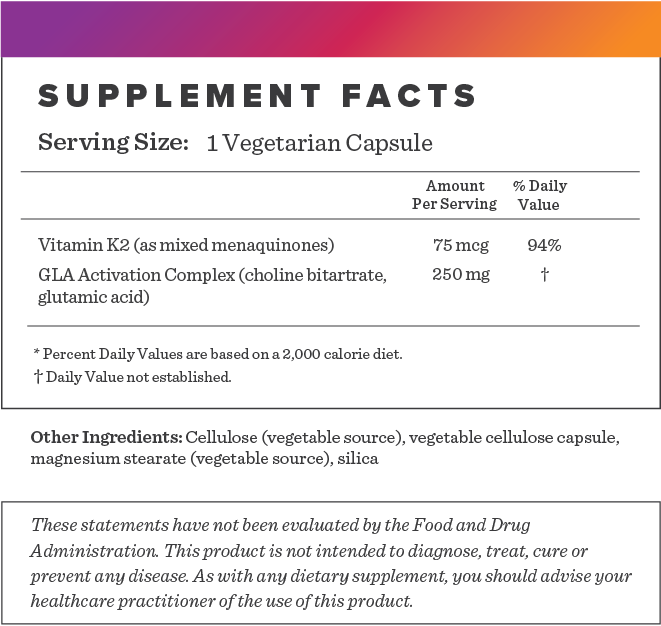 Recent evidence shows Vitamin K2 plays an essential role in blood, heart, and bone health. Vitamin K2 is an underappreciated essential nutrient that recent research is finding an array of benefits: it helps bring calcium to where it needs to go and prevents kidney stones. It''s difficult to get enough of it from food alone especially when the diet is low in animal sources and fermented foods. Vitamin K2 has been shown to be more effective than K1 for bone health; plays an important role in calcium metabolism and heart health. 1. Beulens JW, Booth SL, Van den heuvel EG, Stoecklin E, Baka A, Vermeer C. The role of menaquinones (vitamin K2) in human health. Br J Nutr. 2013;110(8):1357-68. 2. Maresz K. Proper Calcium Use: Vitamin K2 as a Promoter of Bone and Cardiovascular Health. Integr Med (Encinitas). 2015;14(1):34-9. 3. Schurgers LJ, Shearer MJ, Hamulyák K, Stöcklin E, Vermeer C. Effect of vitamin K intake on the stability of oral anticoagulant treatment: dose-response relationships in healthy subjects. Blood. 2004;104(9):2682-9. 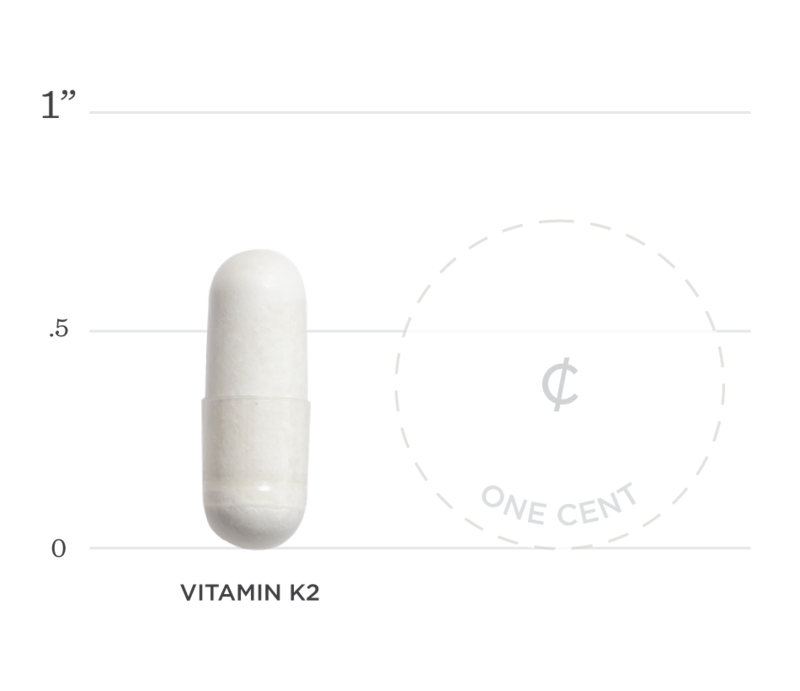 Below we've broken down the main functions of our Vitamin K2 75mcg and the benefits it can provide. Studies have shown Vitamin K2 may reduce the risk of Coronary Heart Disease and atherosclerosis- the blockage of arteries that lead to strokes and heart attacks. Vitamin K2 activates certain proteins that control calcium homeostasis in the body. This includes laying calcium into bone, and keeping calcium out of soft tissues like the arteries & kidneys. One study showed that a single serving of vitamin K2 altered measures of blood clotting for up to four days.